Birmingham Repertory Theatre is going dotty this Christmas with a new production of The Hundred and One Dalmatians. Using puppets, song and humour, it's an alternative family show to the traditional pantomime. 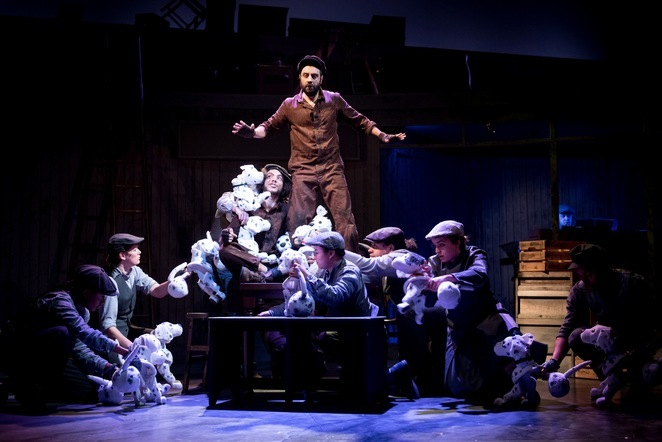 The Hundred and One Dalmatians has been adapted for the stage by Debbie Isitt, whose recent stage adaptation of Nativity! for The Rep was such a huge hit. And, although the main characters now have four feet rather than two, Isitt retains that winning formula of light-touching humour with a simple message about good winning out over evil at the show's heart. Written by Dodie Smith, The Hundred and One Dalmatians takes us into the Dearly home where newly married couple Mr and Mrs Dearly have also united two dalmatians – Pongo and Missis. When the dogs give birth to a litter of pups the family is delighted – until the little ones are stolen by thieves. Holed up in a barn in Suffolk, the animals are being fattened up until they are big enough to be turned into a fur coat for the incredibly nasty Cruella de Vil. Fur-loving Cruella is convinced a dalmatian coat is the only way to keep her warm – and she will stop at nothing to obtain it. Gloria Onitiri plays the wonderfully horrible Cruella. Thoroughly unlikeable, she's a bully who believes she will always get her own way. But she's met her match with the dalmatians. Jimmy Grimes has created puppets which resemble and move like dogs. Held by people, who also speak the roles, each puppet is able to build a separate character. There's Missis (Emma Thornett) who's the worrier, there's Pongo (Oliver Wellington) who prefers action and there's Perdita (Lakesha Cammock) who has also lost her puppies. Not forgetting the little ones including the always hungry Roly ((Mei Mac), the plucky Patch (Nadi Kemp-Sayfi) and the tiny Lucky (Lemuel Knights). There's some strongly comic acting from Luke Murphy and Lewis Griffin as the bungling thieves, Saul and Jasper Baddun – roles which prove to be a huge hit with the children in the audience because of their slapstick humour. Directed by Tessa Walker and designed by Jamie Vartan, the production makes good use of The Rep's ample stage as well as the auditorium with characters appearing in the audience at various points. It also has a festive theme with the reunion bringing everyone back together on Christmas Day. 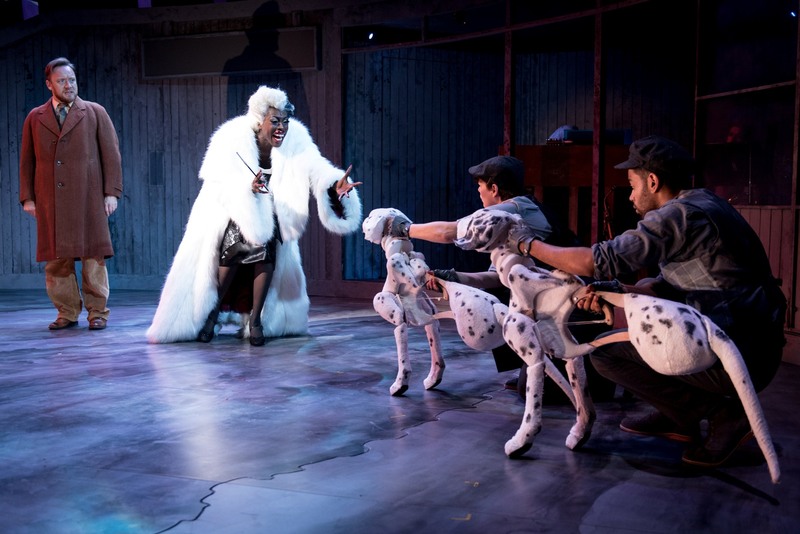 The Hundred and One Dalmatians has been a family favourite for decades and this new staging will bring new audiences to love this heart-warming story. At Birmingham Rep until 13 January 2018.